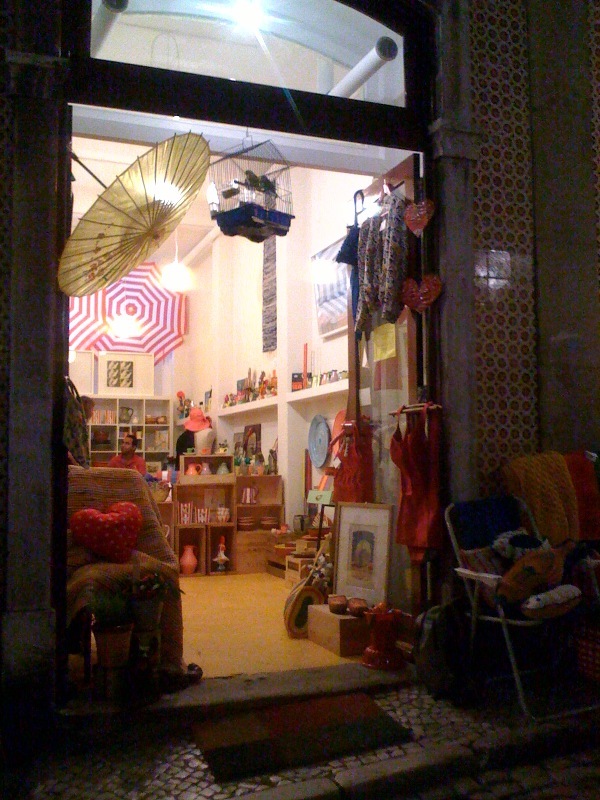 In the centre of Mouraria, a small up-and-coming area behind Alfama, sits A Loja, an incredibly inspiring vintage shop. The owner is a very sweet young French lady who loves all things original and vintage. First of all, I have to apologise for the quality of pictures. When I first found this gem of a shop, it was night time and a brilliant little street party was in full swing. A few people were jamming in the tiny square adjacent to it and the restaurant right on the square was selling drinks (double shots, a large wine and everything in between) €1 per glass. I stopped by, drank, danced, made friends, bought a lovely little book from A Loja and took a few pictures of the shop with my mobile phone. A couple of days later, before my return to the UK, I decided to take more pictures, this time with a film camera, in the daylight. Unfortunately the daytime pictures didn’t work out as the camera went crazy and I had to resort to my first batch of mobile photos! 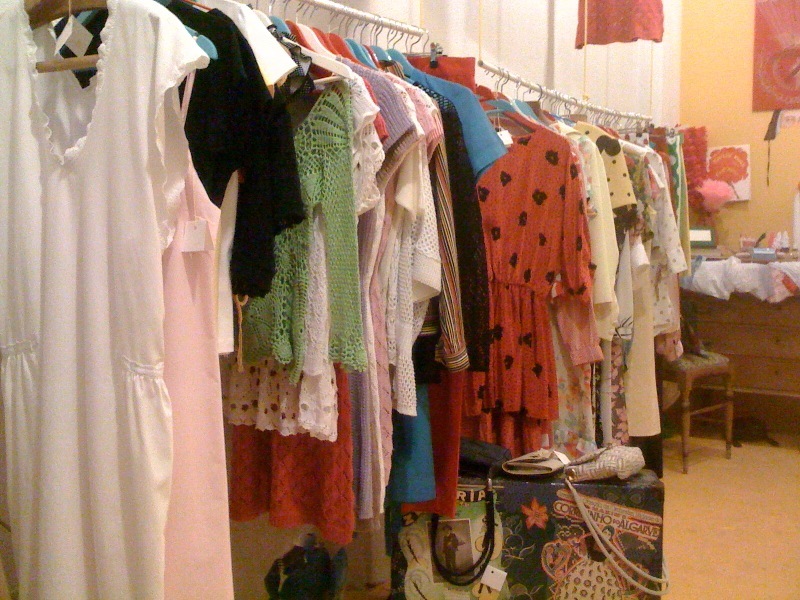 A Loja is full of vintage clothes, books (the one I bought was a very affordable 1969 copy of Sociologie de la Mode, by René König), small furniture such as chairs and shelves, cushions, vinyls, bowls and all sorts of charming knickknacks. A cage was hanging above the door with two colourful birds in it and more often than not you’ll hear crackling 1950s music playing which will definitely get you in the vintage mood. 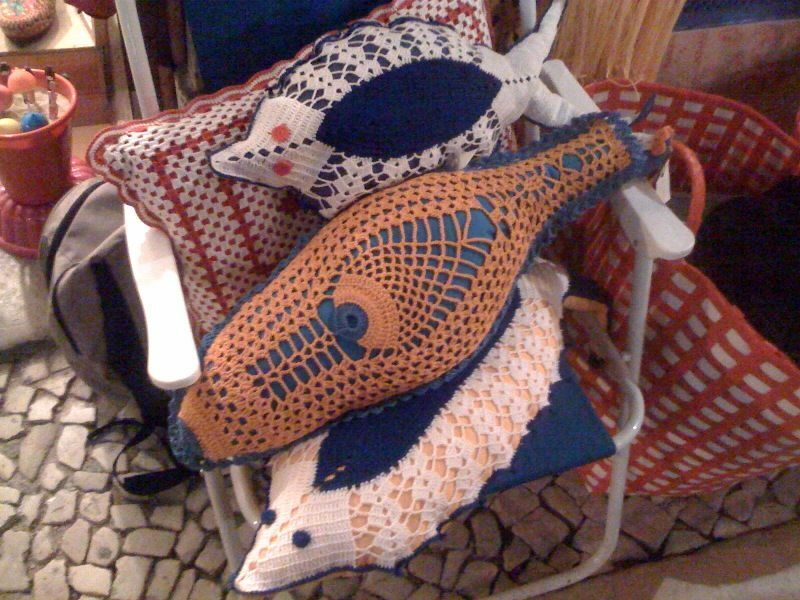 If you happen to stop by in Lisbon, this is a wonderful little shop that has to be visited! You will not be disappointed. A Loja, Largo dos Trigueiros, 16B, Lisbon.